A Wildt & Kray Postcard, postmarked 30 June 1908 to Miss Flinders of Shepherds Hill Highgate. The Ambresbury Banks are the remains of an Iron Age fort. In Britain the Iron Age lasted from about 800 BC to 100 AD. Legend has it that this might be where Queen Boudicca (Boadicea) of the Iceni fought her last battle in the uprising against the Romans in about AD60 but there are other alternatives. The Roman governor Gaius Suetonius Paulinus succeeded in quelling the rebellion. 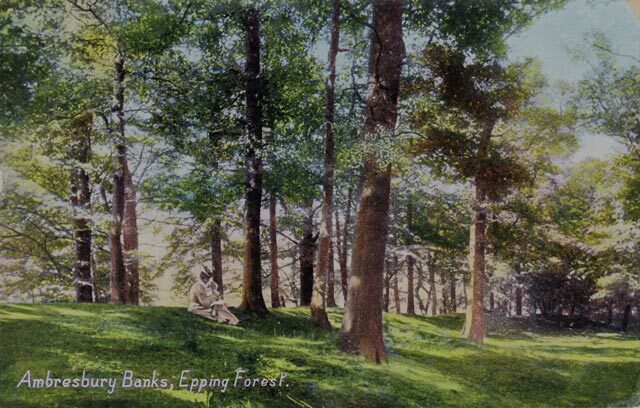 Ambresbury Banks is located on Epping Road (B1393). It not far from the village of Theydon Bois. 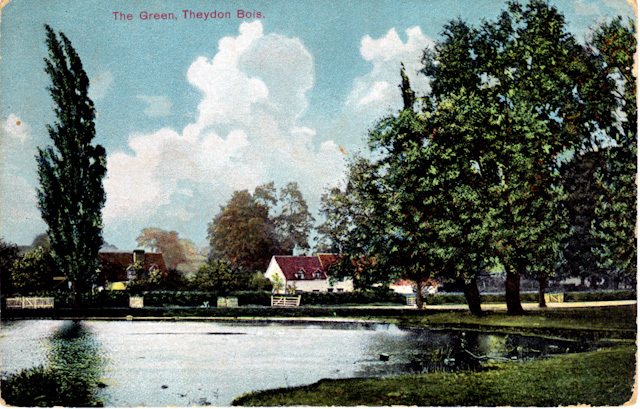 The village of Theydon Bois is on the edge of Epping Forest between Loughton and Epping. 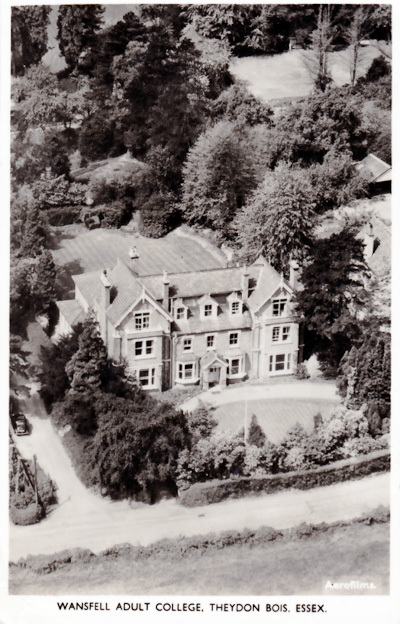 Lydia Marriott's address was Maypole Green Farm, Bradfield, St George, Bury St Edmunds, Suffolk. Aerofilms. Wansfell Adult College. Theydon Bois. Essex. 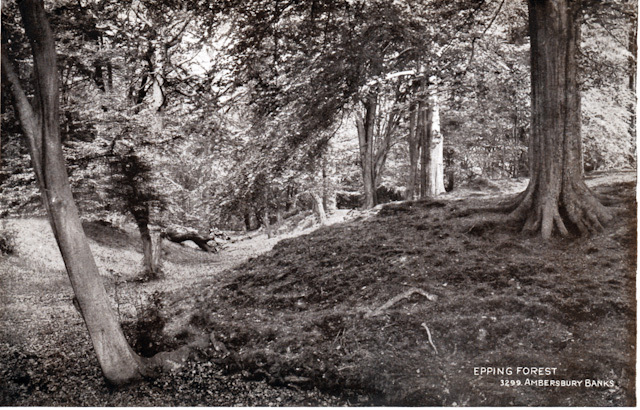 Postcard to Mrs P Ashton of The Downlands, Warminster, Wiltshire from John, postmarked 4 August 1957. John says he is on a cinematography course and has been making a film "Making Cricket Bats" at a small factory in Essex.